Check out the reviews below to see what satisfied students have had to say about their experience. 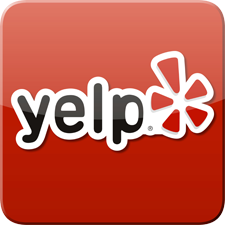 You can also read more reviews or leave your own on your Yelp and Facebook pages. This person earned all our respect, he masters every single detail.. it's incredible how much knowledge he has when it comes to food safety procedures practices.. he teaches things just the way they should be, taking the food safety is a serious matter, and that's what Abraham does.. te ganaste todo nuestro respecto.. sigue así con un futuro tan brillante y de gran ejemplo a seguir.. 100% recomendado! Abraham is a wonderful instructor, very informative, patient and has a sense of humor. Makes the class go by fast! If you are looking to get servsafe certified look no further, Abraham is the instructor to go to. He is the person that helps you learn with his unique way of teaching. He is not like other instructors that will talk on forever and make you listen. He interacts with his students and gives examples, some from his personal experience, as he teaches making it interesting and easy to learn about food safety. Mi experiencia en esta clase fue exelente, el instructor toco los temas mas lmportantes de cada capitulo, contesto satisfactoriamente todas mis dudas y asi pude tener exito en mi examen. Abraham did a fantastic job giving the Servsafe class. I have taken this class before and had to renew my certification, and this was by far the best experience. The way he gives the class and goes over the information is very helpful not only to me as an owner, but to see the way my employees were questioned made me feel comfortable as to how much they really knew and also to know they will remember the information that was given that day. Like Abraham said, it's not about just having a piece of paper to be able to hang up on the wall, it's about actually learning and being able to teach others and guide them to have a safe and clean place to prepare and serve food. Thank you Abraham Herrera.